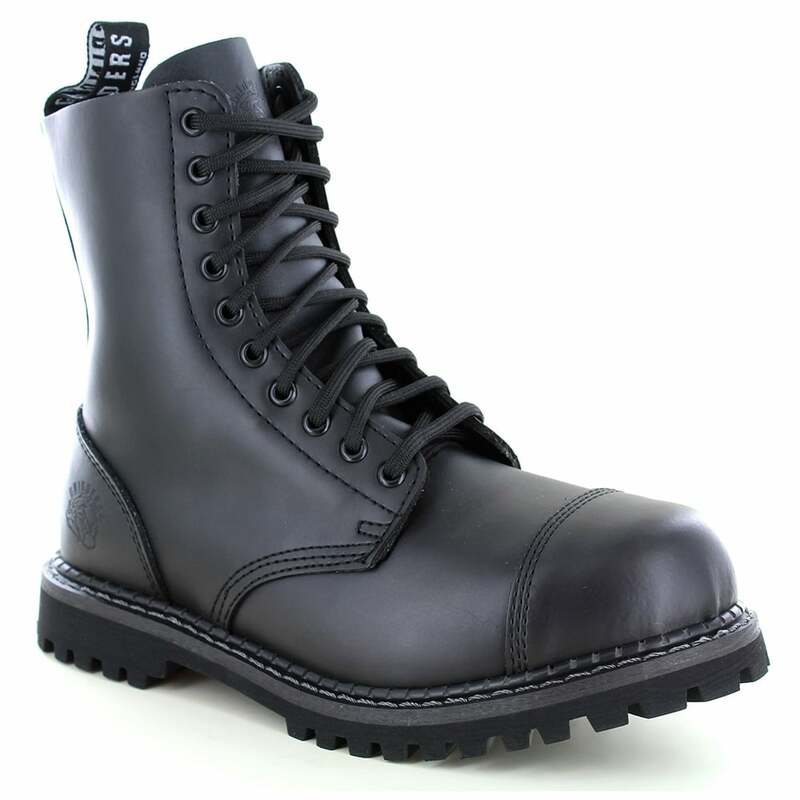 Shiny and smooth black leather unisex Industrial fashion commando boot with steel toecap, perfect for those of you who like the urban workwear look. Rising above the ankle, this mens, boys and womens boot features triple stitching at the toe cap, heel and eyelet line and carries the Grinders embossed logo at the outer heel. Travelling up from the heel to top line is a leather strip ending in a black and white pull-tag bearing the Grinders name. Fastening the Grinders Stag securely to your foot is a ten-eyelet ring lace-up with rounded black laces. Completing this great mens, boys and womens boot and carrying on the industrial look is a heavily cleated air cushioned sole with oil, acid, fat, petrol and alkali resistance.